Centralized cloud management Every IT person would like to be able to manage their clients’ PCs remotely with the ability to log on from anywhere and perform tasks without the need to travel long distances. He would also like to have monitoring tools to pre-empt virtually any disaster. This blog will discuss Panda Cloud System Management and how it gives IT professionals the long-sought agility they need to deliver according to the demands of the modern business. 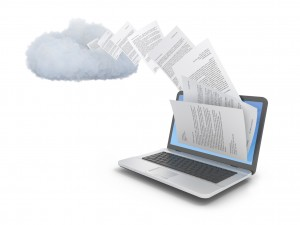 How Panda Cloud System Management can streamline your work. Panda is cloud-based: It has no need for additional hardware investment. It operates in the cloud using the power of the Panda’s servers freeing up your computer’s resources. Push applications: You can remotely install applications or uninstall them on several machines at once. Monitor changes: Monitor changes in software and hardware. This can prevent problems further down the line eg. Legal action brought against torrent users. Monitor hardware: There are various built-in tools that you can use to monitor hard drives, memory and storage and prevent problems before they occur. Control users: Divide your staff/customer base into groups of your choosing which can be used to target application pushing and updates. Remote support with a twist: Panda Cloud System Management allows you to log in via Teamviewer and Ultra VNC and make changes, install applications and perform support. Another great feature is the ability to log in remotely and make changes in the background without interrupting users. An important part of business continuity is resilience or the practice of making your business less susceptible to attack or threats. Lessening the workload by using the cloud to automatically and proactively perform tasks and updates frees you up to focus on other critical areas.Get rid of the bottlenecks in the system and you will have better work performance, less downtime and lengthened equipment life. Running audits allows you to tweak and improve system performance. The need to manage IT effectively is a must in a fast-paced world where you can soon find yourself outpaced and left behind. Using tools like Panda Cloud System Management allows one to reduce workload and time spent travelling.Revolutionize the way you work by using cloud management tools.